Since spring has finally arrived here in Canada, we decided to have some fun with flowers. I created this cute felt craft using different sized flower shapes in hopes that they would get sorted by size. Which they were, yeah! This was super easy to put together and I never measure anything but go by eye. I’m all about simple and I’m hardly crafty so I always need to stick to simple. 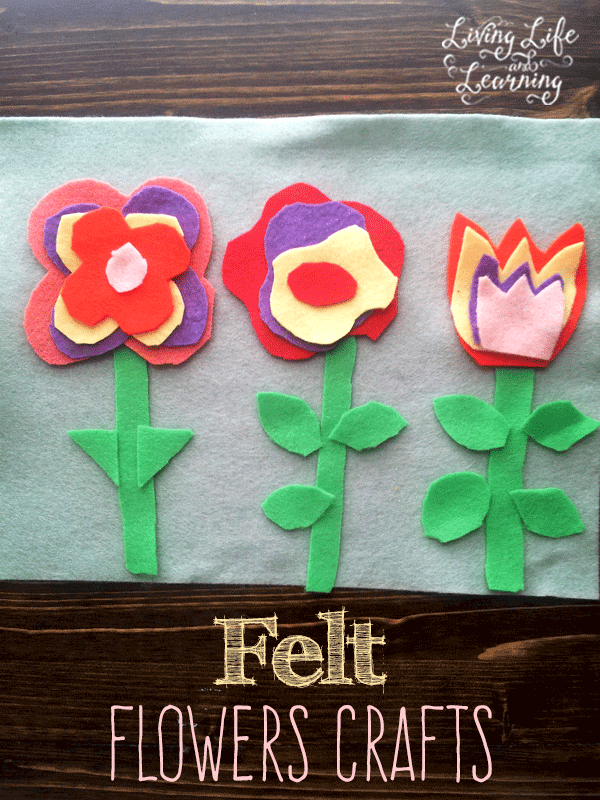 My daughter loved these felt flower crafts because she gets to use her imagination and lay them out as she sees fit. If it’s a character that she’s familiar with then it becomes more of a puzzle. She has to have it looking exactly the same as it’s supposed to look. There are times when pieces go missing from her felt sets so I absolutely have to make a replacement. I cut the stem and leaves out of green and different flower shapes of different sizes out of the other colors to complete the flowers. I didn’t bother with a template and just cut away. I started with the larger flower and worked my way down to the smaller sizes. This was my daughter’s proud face as she showed me her work when she was finished. Love it. She took everything apart and then played with it again. I love this quiet activity. All the felt crafts get stored in Ziploc bags and they go into a bin on her bookshelf. She’s only allowed to take out one at a time because pieces start to get mixed up and she hates having missing pieces. I love this activity! 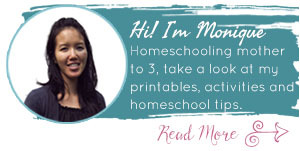 Thank you for joining the Learn & Play Link Up. I featured this post and hope you can join us again next time!